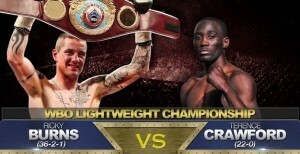 Saturday night at the Scottish Exhibition Centre in Glasgow, Scotland, WBO lightweight champion Ricky Burns (36-2-1, 11 KO’s) defends his world title against undefeated American Terence Crawford (22-0, 16 KO’s). It will be Burns’ first fight back since suffering a broken jaw last September against Raymundo Beltran where Burns escaped with what many felt was a gift draw. Burns has made a habit of defying the odds, repeatedly coming in as the underdog yet coming out victorious. Roman Martinez, Michael Katsidis, Kevin Mitchell are all perfect examples of times that Burns was sold short, but came out on top each time, though his last two bouts haven’t been his best. 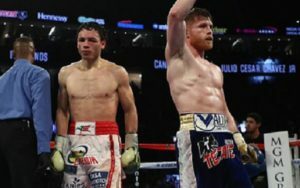 Prior to the Beltran match up, he was behind on the scorecards in May when opponent Jose Gonzalez bowed out after the ninth round citing a wrist injury. Facing Beltran in front of his home crowd six months ago, he was again far from his best; suffering a broken jaw in the second round and dropped in the eighth, he managed to battle his way through the full 12 round contest and leave with his world title when the bout was scored a draw, a decision even the fans in attendance questioned; it was felt by most who saw the bout that Beltran had won comfortably. While Burns needs a top notch performance, he’s facing what may be his toughest challenge in the way of Crawford, who holds 16 stoppage wins in his 22 victories. The challenger and former NABO lightweight title holder of Omaha, Nebraska is confident coming into the fight despite the champion having the home field advantage. 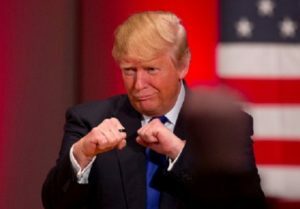 He lacks the professional experience of Burns (81 rounds compared to 281 for Burns), and many have questioned the level of opposition he’s faced so far. Breidis Prescott, who scored a 54 second knockout of Amir Khan in 2008, is the most recognizable name and most experienced opponent on his ledger, Crawford scored a near shut out decision over him a year ago. He followed up with a sixth round stoppage of Alejandro Sanabria and most recently a unanimous 10 round shut out of undefeated Andrey Klimov in October.